A wide range of land based, water based and safety and rescue courses from individual introduction courses through to professional team training programs and international guide training. Specialists in bespoke training programs for providers and operators. A full range of guided adventure programs around the world including trekking, mountaineering, kayaking, SUP, rafting and Safari. Specialists in running bespoke privately guided expeditions for groups and extensive experience providing expedition logistics and media/production safety cover. Over 30 years worldwide experience acting as consultants and advisors around the globe. We run specialist training courses, develop sustainable tourism itineraries and act as industry technical advisors. 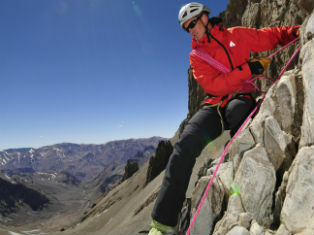 Offering unparalleled knowledge and experience to travel operators, government agencies and outdoor providers. Welcome to Adventure Consultancy, home of adventure training specialists and consultants with over 30 years worldwide experience. Managing Director Anthony Eddies-Davies has operated around the globe as a professional trainer, expedition guide and technical advisor in both the outdoor adventure industry and in the worldwide adventure travel business. As a training provider – we deliver a wide range of national governing body courses and certification including mountain skills, climbing, navigation, first aid, canoeing, kayaking, stand up paddle boarding, rafting and power boating – courses for beginners right through to international guide training programs. 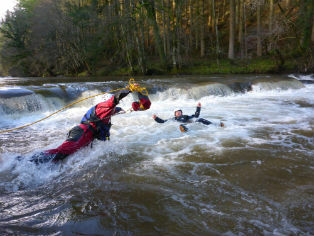 We also provide specialist water, flood and boat rescue training to the military and emergency services, as well as outdoor professionals, as an approved training provider for Rescue 3 international courses. 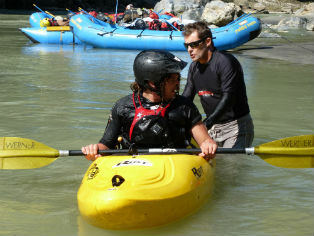 As expedition guides – we have over 25 years experience around the world in the mountains, on the rivers, across the oceans and through the jungles – guiding professional expeditions, training international guides and working with production companies including the BBC and Discovery Channel, as well as international media platforms. As consultants – we work across the globe with government organisations, established travel operators and adventure providers, tourism boards, the military and the emergency services – acting as training providers, technical advisors and consultants. What makes us unique is our experience. This 30 years of industry knowledge stems from operating throughout Europe, establishing some of the first outdoor centres across China, spending over 25 years on the rivers and in the Mountains of Nepal, mapping the river systems in the Kingdom of Bhutan, guiding throughout North and South America, running international guide programs for Swedish Universities, running specialist training courses for the Saudi Civil defence, training Japanese river guides…..and the list continues to grow! What we can offer is bespoke adventure training, industry advice and technical knowledge to suit all of your needs, with unparalleled personal and industry experience.